The function of the Community Outreach Committee is to educate the community about the benefits of consulting an MFT for relationship issues. The Committee can present specific topics to inform and promote the various specialties we make available to the public. Above is the new giveaway magnet for health fairs, etc. These are the size of a business card. 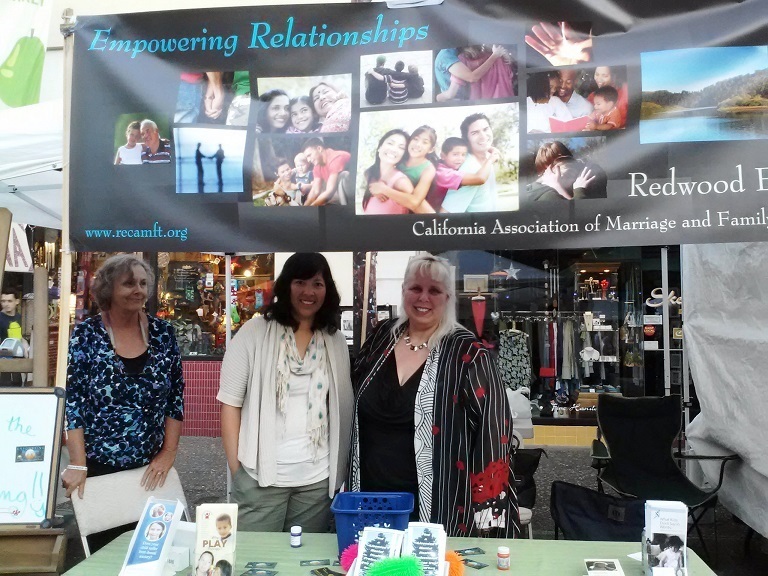 RECAMFT participated in the Santa Rosa Wednesday Night Markets in downtown Santa Rosa in Summer 2014. L-R: Anita LaFollette, Kim-Lien Chavez and Laura Strom. The Outreach Committee is distributing these cards to social service agencies, schools, etc. 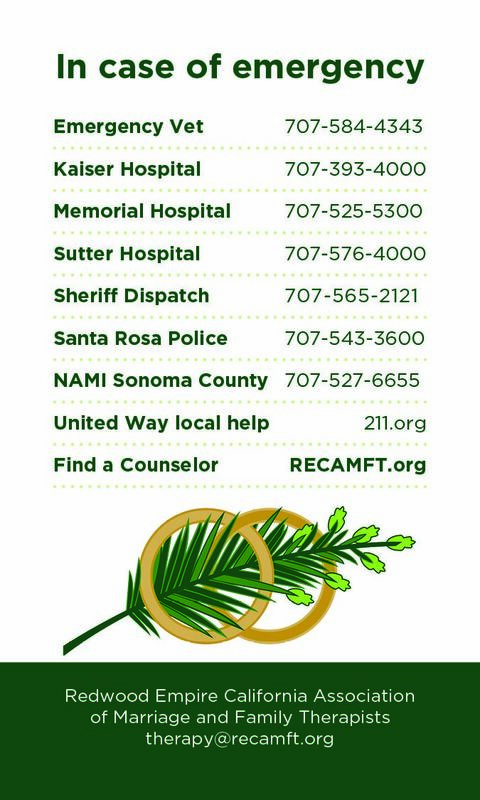 We've had very positive feedback from Santa Rosa Community Health (that's Brookwood, Vista, and eight other sites). 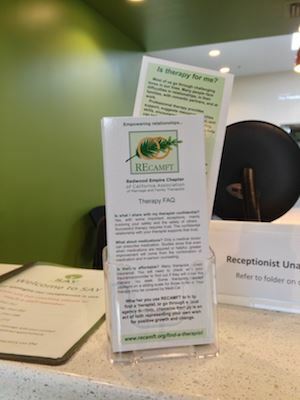 They were pleased that RECAMFT's online Find-a-Therapist search function would allow them to direct clients to therapists with the appropriate location, area of specialization, insurance taken, etc. If you are looking for referrals make sure that your profile is up to date. If you get a referral that references this card, or mentions having used the online search function, please take a moment to let us know - recamftoutreach@gmail.com.